You are here: Home / 5. Practicalities / 5.1. 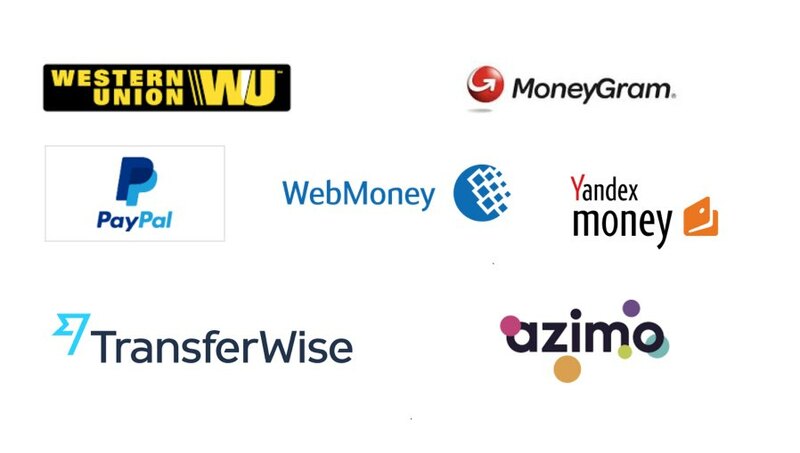 Ruble exchange and prices / How to send money to Russia: WesterUnion, PayPal or TransferWise? For comparative purposes, all calculations were made on February 14, 2017. 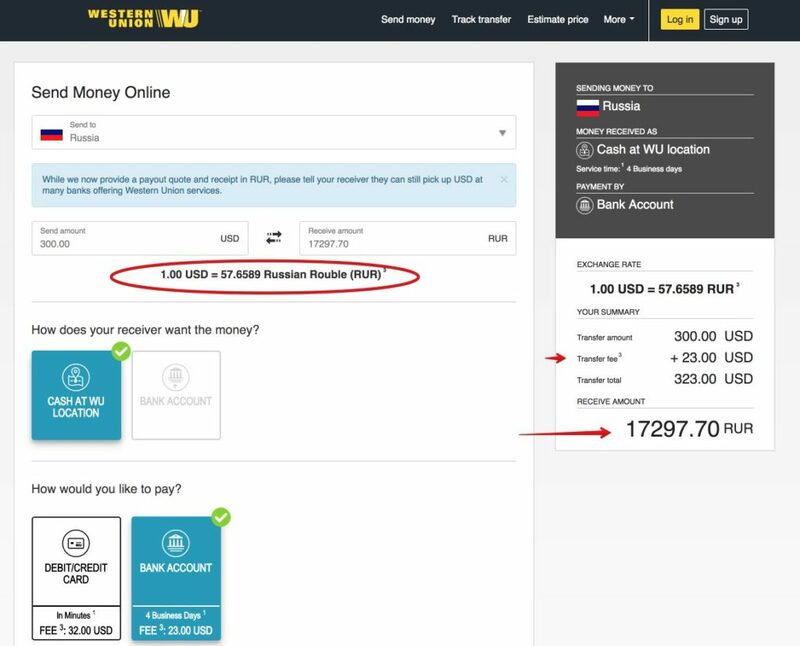 Well, sending $300 to Russia through Western Union has a high commission if you send it by bank transfer ($23) and very high if you do it by debit or credit card ($32), but it applies a favorable exchange rate (close to the real exchange rate). This means that if you send $300 to Russia today, you would be charged an exchange rate of 57.6589 rubles per dollar, so that the recipient in Russia will receive 17,297.70 rubles. Secondly, when you send dollars to a recipient in Russia, Paypal applies a rather unfavorable exchange rate. Today it applies an exchange rate of 55.5599 rubles per dollar. 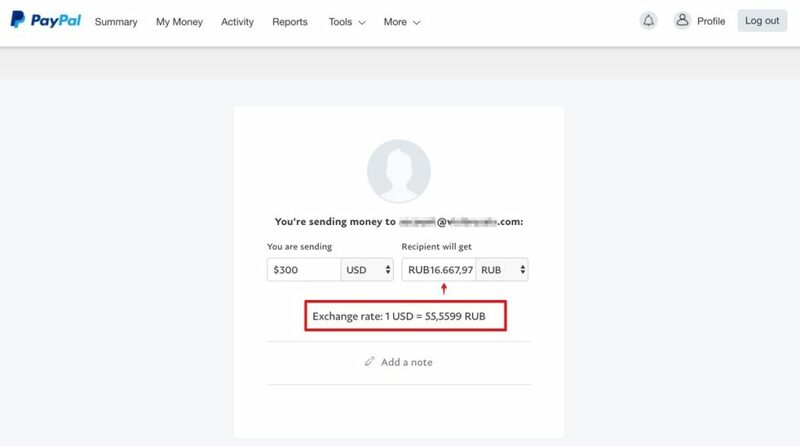 Thus, if you send $300 to a relative or friend of Russia, the commission would be $1.5 ($12 if you use your bank card), but your friend or Russian family member would receive in its Paypal account a total of 16,667.97 rubles. Also, keep in mind that if the recipient wants to transfer this money to its Russian bank account, it would have to wait a couple of days to have the money available. 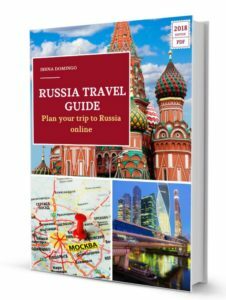 You send $300 and the recipient in Russia receives 17,297.70 rubles. In addition, you have to pay a commission ranging from $23 to $32. You send $300, and the recipient in Russia receives 16,667.97 rubles. In addition, you have to pay a commission that varies between $1.5 and $12. You send $300 and the recipient in Russia receives 16,914.22 rubles (with the commission of $4,47 already discounted of this amount in rubles). 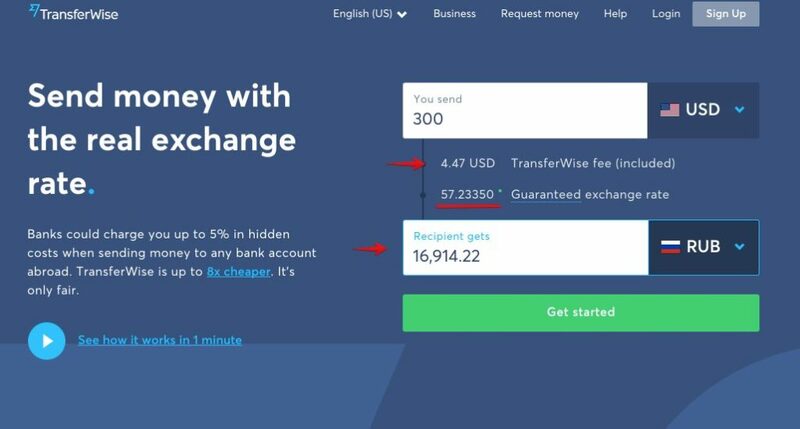 Conclusion: Western Union applies a good exchange rate but high commissions; Paypal applies a bad exchange rate and acceptable commissions; and TransferWise applies a good exchange rate and low commissions. All calculations were made on February 14, 2017.